22 West — So Well-Planned, Every Luxurious Residence Owns Its Share Of The Sun! When DC luxury condominium 22 West won the RADA Grand Award for Best Multifamily Design in the US, it was no single idea that captured the judges’ approval. This special property leaves nothing to chance – even exposure to the sun. When the architects sited the property, 22 West was set on a diagonal that ensures every residence receives direct daylight every day! 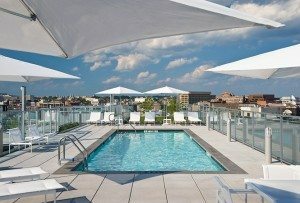 The exquisite attention detail makes 22 West one of the most sought-after addresses in the Capital Region and earned it a place on The It Buildings list in the Most Luxurious category! It is home to 92 luxury condominiums and penthouses with 71 floor plan variations ranging in size from 948 to 2,480 square feet. The 9’6” ceilings and wall-to-wall, floor-to-ceiling windows allow natural light to flow freely throughout these sleek and modern living spaces. The first eight floors are comprised of condominiums ranging from 1 bedroom, 1.5 baths to 3 bedrooms and 4 baths, The 9th floor is devoted to sumptuous bi-level penthouses ranging from 1,825 to 3,629 square feet with rooftop terraces. One such penthouse – a 2,480 square-foot-stunner – closed in July for $2,150,000. This 3 bedroom, 3-bath property included over $100,000 in upgrades. And on the same floor, a 2 bedroom, 2 baths, 2 level penthouse with 1,834 square feet of lavishness sold for $1,695,000. 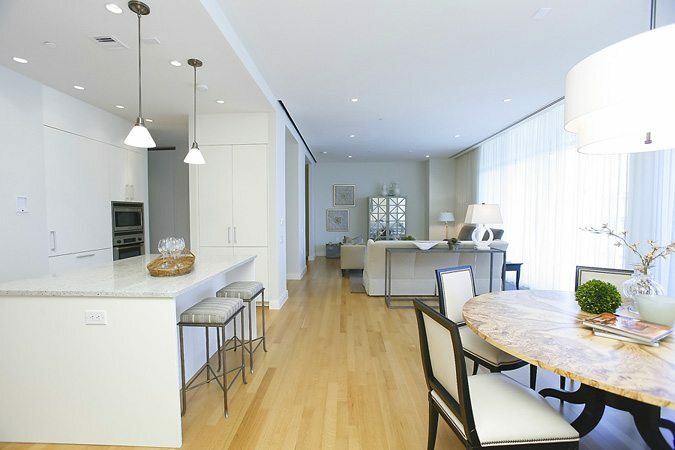 In the active market, you can move into a 2 bedroom, 2 bath penthouse for $1,589,000. This fabulous 1,645 square foot corner duplex is the perfect pied a terre! The lofty upper level offers an ideal den/home office and a breathtaking master suite. Active listings are available for review and you may also arrange a building tour at your convenience. 22 West Is Luxury Living At Its Finest! At 22 West, you are directly across the street from The Ritz-Carlton West End and the Sports Club/LA. 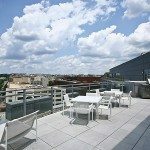 Step outside, and you’re instantly convenient to the best of DC including shops, restaurants, nightlife, theater and the arts as well as the downtown business district. You may find many of your friends nearby in other West End luxury condo buildings. 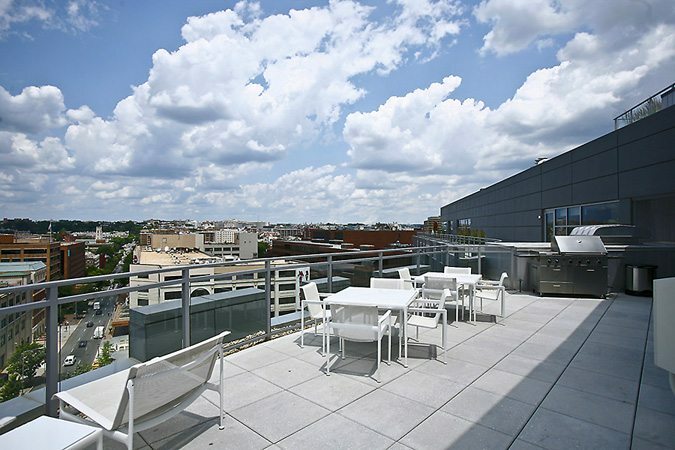 West End is easily one of the most sought-after neighborhoods in DC and sits within walking distance to the best of Georgetown as well as Dupont Circle. 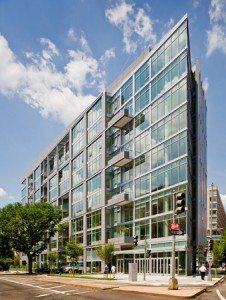 The Best of DC Is All Around 22 West! Your West End neighborhood provides easy access to the entire city. Walk to the Kennedy Center, Georgetown and the Metro’s Orange and Blue Line at the Foggy Bottom-GWU station. National Airport, Maryland and Virginia are a quick ride away by car. Taxis abound in West End to whisk you around the city and deliver you back home. Like 22 West? Consider These Similar Buildings. Also in West End, buildings of note include The Ritz Carlton West End and 2501 Pennsylvania. Nearby, elegant living is available in Georgetown at The Ritz Carlton Georgetown and 3303 Water Street, and across the Potomac at Turnberry Tower, The Waterview and The Odyssey. For more information about 22 West or to discuss buying or selling a luxury property in the Capital Region, contact Jeff Wilson at your convenience.